The phrase “Beer before liquor, never been sicker; liquor before beer, you're in the clear” is practically engraved into college freshmen’s orientation pamphlets as if a warning for the years to come. But a new study turns this handy hangover-beating phrase into folklore by proving it doesn’t matter how you drink what you drink. The study published in the American Journal of Clinical Nutrition took more than two years to plan and get approved. Nearly 300 participants volunteered to get drunk in the name of science, but only a lucky 90 passed the selection criteria and properly completed all parts of the study, Forbes reports. For the study, the lucky 90 participants were split into three study groups randomly, Forbes explains. The first group drank beer first, then wine; the second group drank wine and then sipped beer; and the third group included people drinking one or the other, with no mixing. A week later, the study groups were asked to come back and drink in reverse order, or in the case of the third group, to switch beverages, per CNBC. The researchers then asked people to rate how drunk they felt, scoring themselves between 0 and 10 at the end of each study day and also noted whether they vomited or not. Participants then rated their hangover the next day, using the Acute Hangover Scale (AHS), which is based on factors including: thirst, fatigue, headache, dizziness, nausea, stomach ache, increased heart rate and loss of appetite, Forbes notes. 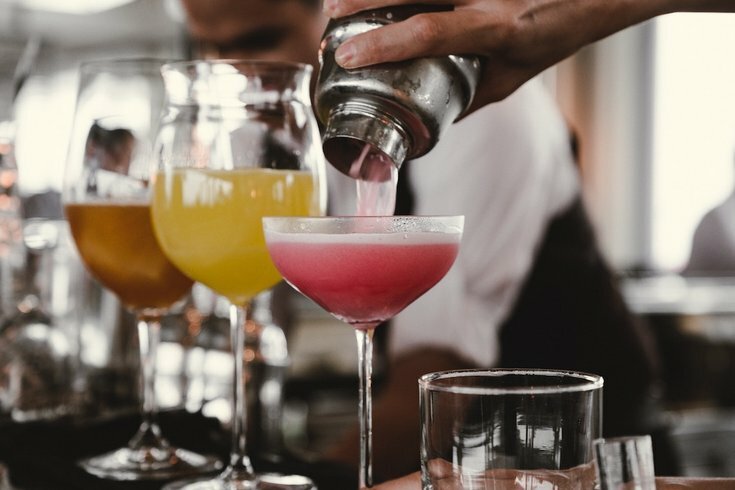 The study found that changing the order of the drinks had very little impact on the pain or discomfort participants felt, and sticking to one or the other drink didn't have a huge impact either, CNBC reports. It was noted, however, that female participants tended to suffer more than men.